This week’s photo challenge celebrates green since people in the northern hemisphere won’t be seeing much of it for a while. What an understatement: over here, snow will still be melting in May. But I don’t feel like respecting the spirit of the challenge (sorry). Instead, I feel like reflecting a little on the color itself and what it is associated with. It always seems to me like in science-fiction, video games, fantasy and comic books, colors are associated with a set of values, traits of characters, and characteristics that aren’t necessarily compatible, yet almost always the same. It seems to me that apart from being associate to life, plants and vivacity, green is the color of aliens, of the strange, the mysterious, the wicked and the disgusting. The expression “little green men” is often used to refer to aliens in general, and example of green aliens abound in comic books, video games or science-fiction: Yoda, Martians, Greedo, are only a few. In X-Files, some Aliens have poisonous green blood. And let’s think about villains for a minute: Loki, the Riddler and Poison Ivy all have a color in common. Many Spiderman villains wear green. And what’s the one thing that can hurt Superman? Kryptonite, which is green. Green doesn’t always mean not always evil and wicked, however. Sometimes, it is associated with good: Luke’s lightsaber, the Green Lantern, Green Arrow, Green Hornet, and so on. The Wicked Witch might be green, but the Wizard of Oz and the Emerald city certainly are as well. But the common element here is strangeness: Green Lantern heroes and lightsabers use a strange alien energy, Green Arrow might be a good guy but his ideas are far from mainstream, and the Green Hornet has unorthodox methods. The Wizard of Oz uses magic. And what to say about Hulk but that he was created out an experiment gone wrong. Interestingly, in various comic books, green is often associated with purple or violet. The Joker, Mysterio and The Green Goblin are good examples of this. Other color combinations are common in comic books: superheroes often wear blue and read outfits (Spiderman, Captain America), red and yellow (Iron Man, The Flash), or a combination of these (Wonder Woman, Superman and Superwoman). Single colored outfits are less common, except for some black ones (Batman, Catwoman). Of course, the outfits heroes and villains wear vary according to the artist’s style, but there is something interesting about the fact that some color combinations are recurrent. Of course, a simple way to explain this, especially from an artist’s point of view, is color theory: some colors are considered complimentary opposites and a good combination. So maybe the Joker followed good fashion advice. On the other hand, it is clear that colors are associated with ideas, values, personalities or emotions – even if these vary and sometimes seem to contradict one another. As I mentioned green is often associated with life, plants, ecology, recycling, sustainability, but can also be associated with what is strange, alien, wicked or weird, even putrid or toxic. So how do colors become embedded with such significations? More importantly, the organization, identification and categorization of colors demands attention. In La pensée sauvage (The savage mind: a horrible title but a great book), Claude Lévi-Strauss argues that they can be very different from one knowledge system to another, depending on the logic of such system: In fact, the concept “color” isn’t defined the same way in all languages. Read more about this here. 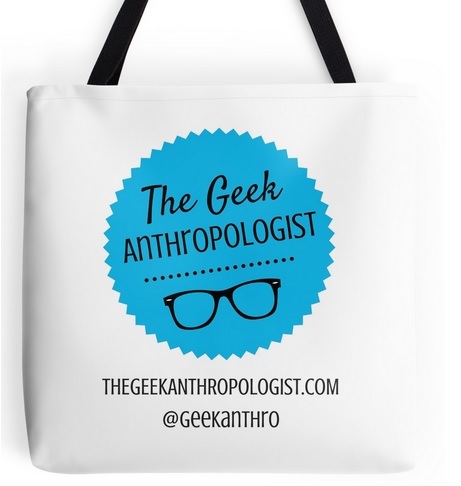 That’s right, colors are just one other thing anthropologists are interested in. And there are many books and articles about it out there. You can read some sections of Anthropology of Color: Interdisciplinary Multilevel Modeling on Google Books. Contributing authors focus on color categorization. I found this interview by Ellen Meloy, author of Anthropology of Turquoise, very interesting. The author is not an anthropologist, as far as I can tell, but the book seems fascinating. Meloy explores her own relation with turquoise and other colors and digs into various ethnographic and historical accounts to understand the meaning of turquoise across different parts of the world. This excerpt from Micheal Taussing’s Why is Color Sacred? is definitely worth reading if you are interested in the anthropology of color. The author explores the history of colors, more specifically what he considers to be a colonial history that reveals the West’s discomfort with primitiveness with whom bright colors were associated. While you’re at it, Rarasaur came up with a long list of green geek things. Check out her post! Wow, this post really expounds on color. Thanks for a good read. A really interesting post. I primarily associate green with “living” but, you’re right – there are so many associations with “strangeness”. There’s variations of synaesthesia where people can hear and feel colours – I find this kind of thing fascinating and wonder what their input on this would be. Definitely gonna follow up on those book recommendations! That’s right, I didn’t talk about the various ways people experiences their senses. In fact many anthropologists have written about the fact that sight is the dominant sense in Western culture but that such is not the case everywhere. I didn’t want to write a 2000 words posts like I always do, so I held back! Luke’s lightsaber! I knew we missed a classic. ‘Course, I deliberately skipped the Hulk because he gives me nightmares. I loved this, I just checked out Anthropology of Color this weekend. Color theory is fascinating. I started a post about colors just after the weekly challenge, and the thoughts here are great– you can definitely expect a link back if I ever get around to finishing it. And I’ve never seen that Kermit/Yoda art before. Amazing!